Let's create an instance of DocumentCore with the name dc. 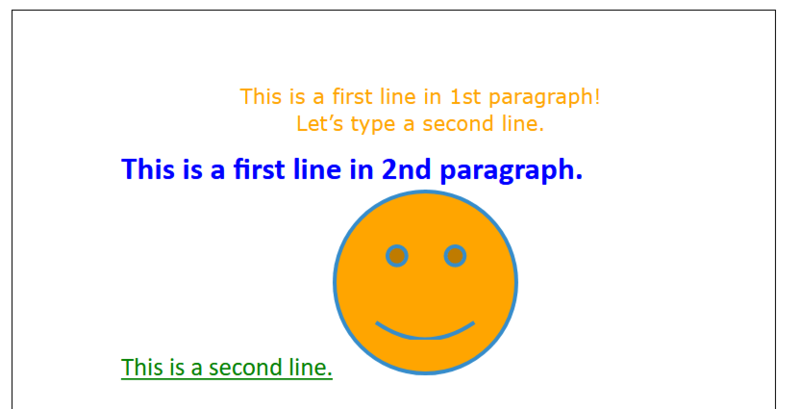 Create a new Paragraph with two Run elements (which represent our text), next add it into the section. Add a second Paragraph with text using ContentRange class. We can save our document to HTML format using two options: HtmlFixedSaveOptions or HtmlFlowingSaveOptions. // Save the dc as HtmlFixed document. // Save the dc as HtmlFlowing document. Here you may find an extra info How to save a document to HTML format with options. /// Creates a new document and saves it into HTML format. // Set a path to our HTML document. // Let's create a simple HTML document. // Save HTML document as HTML-fixed format. // Save HTML document as HTML-flowing format.
''' Creates a new document and saves it into HTML format.
' Set a path to our HTML document. Dim htmlFixedPath As String = "Result-Fixed.html"
Dim htmlFlowingPath As String = "Result-Flowing.html"
' Let's create a simple HTML document.
' Save HTML document as HTML-fixed format.
' Save HTML document as HTML-flowing format.